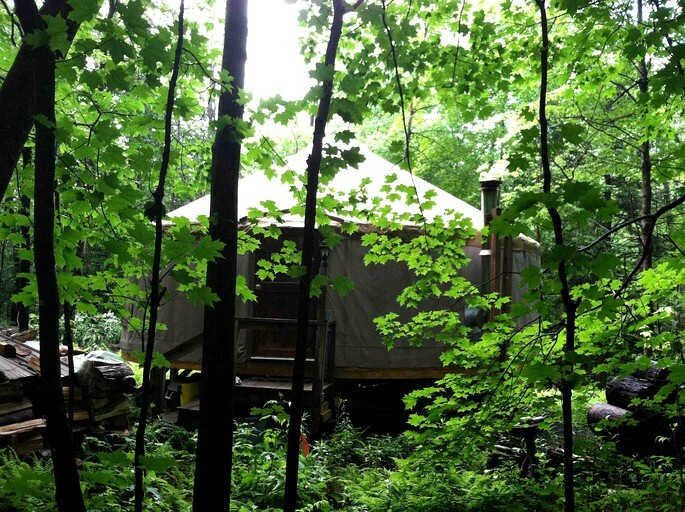 This off-the-grid yurt rental is located in the secluded countryside of Thetford Center, Vermont. The 24-foot interior accommodates two guests in the handmade wooden loft bed. There is also space downstairs for more mattresses to accommodate other guests. Those looking to bring more than two people should inquire with the host first. Towels are provided. 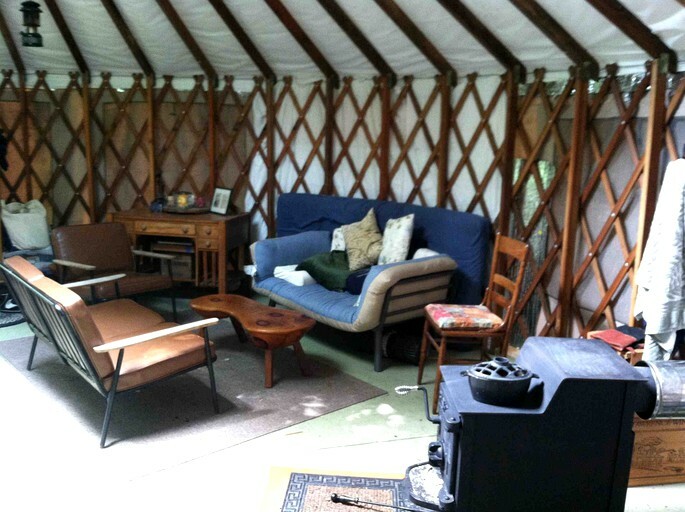 This yurt also includes a living area with a futon couch and a woodstove. Outside, guests can use the shower house and composting outhouse. 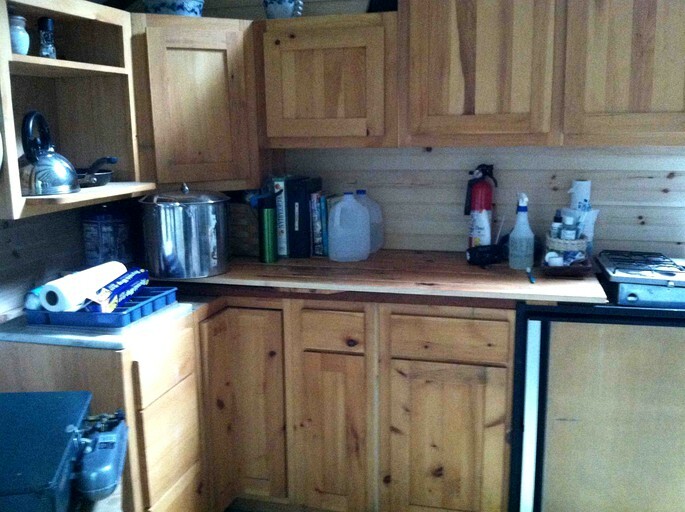 The kitchen area is equipped with a propane stove, pots, pans, a griddle, a cutting board, cooking and eating utensils, and cabinet space. Other amenities include firewood, a headlamp, first aid supplies, maps, guidebooks, two coffee tables, a propane lantern, and cleaning supplies. A cooler is available to keep food outside. Glampers should consider bringing appropriate clothes for the weather, a sleeping bag, slippers, a blow-up mattress or non-electric air bed for additional sleeping, and food. 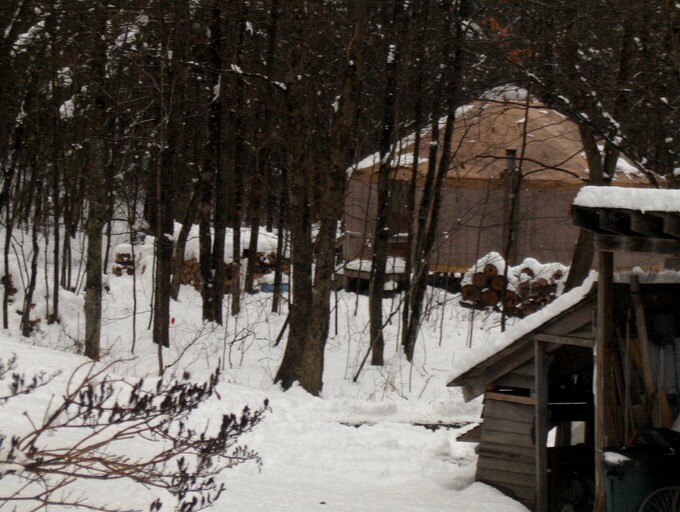 This rustic yurt in Vermont is located on the host's property. In fact, she can see the yurt right from her very own house, and she calls this little set-up camping in style. While glamping here, guests can use the bathroom in the host's house, or use the outhouse up near the main house. 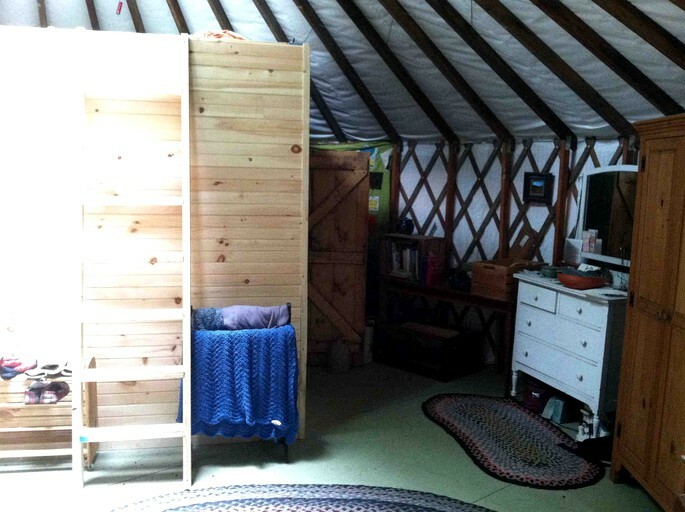 The yurt has solar electric lights that illuminate the entire space. There is internet with the flick of a switch. Guests must turn it off when they depart. There is a propane refrigerator/freezer, and there are bottles of ice at the main house if the fridge has not been on. 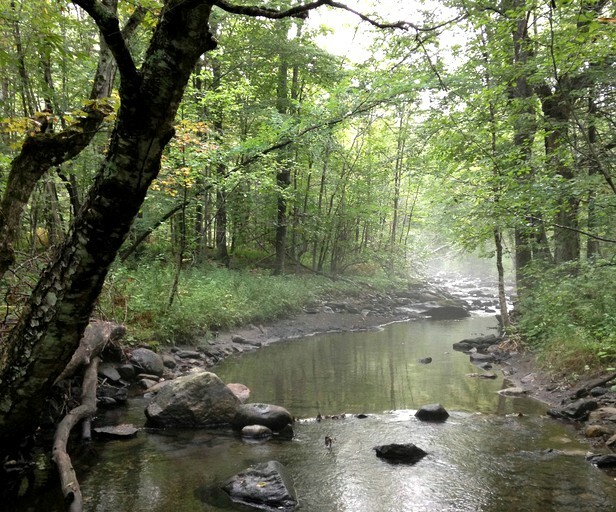 There is also a propane stove for cooking, propane hot water for washing in the sink, and a shower if guests want to carry water from the creek. For extra drinking water, guests can go to the main house kitchen to fill the containers and bring it down to the yurt. In the winter, the hosts provide a hauling sled to obtain snow or water from the nearby stream. Guests should bring their own sleeping bags and bedding. If they choose to use the bedding and sheets the host has, they can use the bedding and towels on the shelves, and then must return them to the host when they depart. This site offers a ton of activities, and there is even a special set of workshops for children. 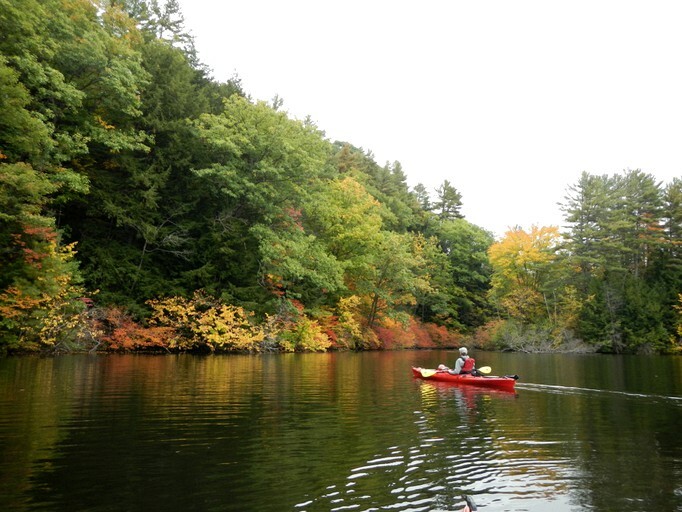 In addition to that, there are kayak excursions, winter cross-country ski and snowshoe trips, and outdoor explorations. 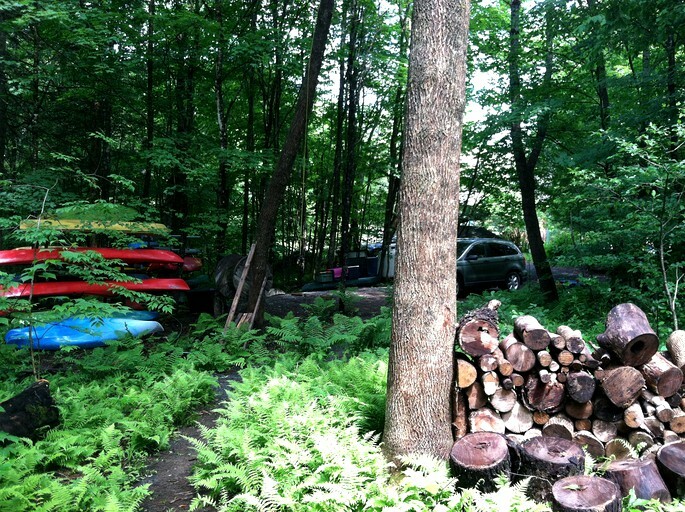 The site's host can outfit glampers with kayaks, instruction, and guiding, if guests would like, as well as gear for cross country skiing. 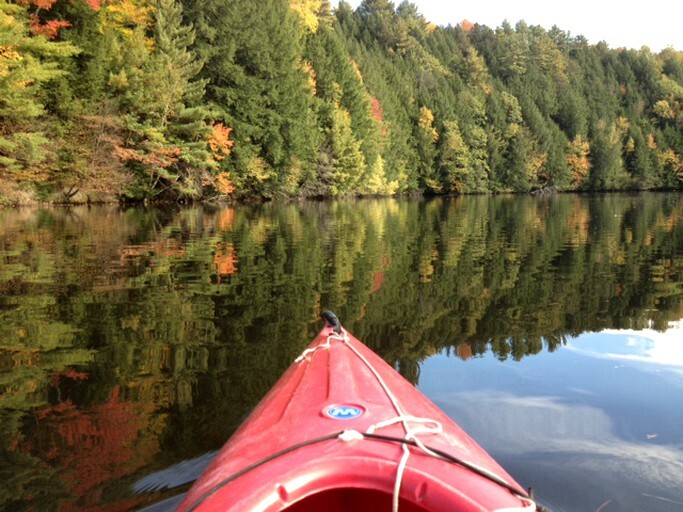 The hosts have kayaks for rent, instruction, and guided trips. Glampers can even simply wander around the open meadows and escape right into the woods to disconnect for a while. This glamping site is perfect for those who love the outdoors and need to reconnect with nature. The owner has lists of local hikes, just ask by email ahead of time, or visit the main house kitchen wall for a hard copy. In fact, the host is actually an ACA kayaking instructor herself, and in addition to teaching, she also leads kayaking excursions. She can accommodate any and all level types. 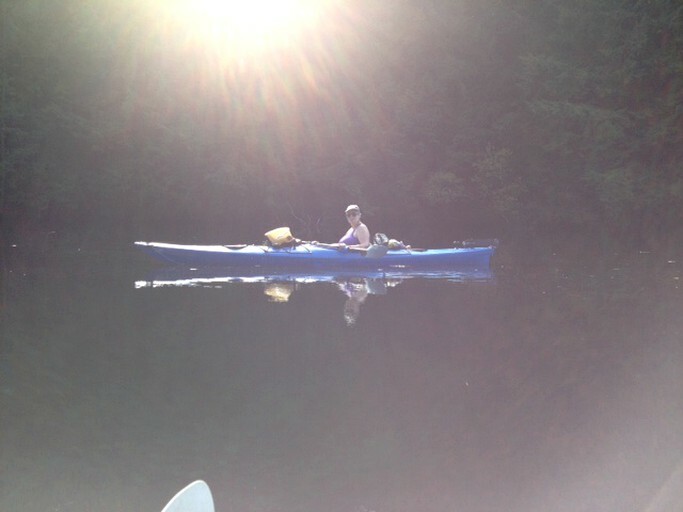 Apart from kayaking lessons, she also teaches cross country skiing, and camping and outdoor skills. She specializes teaching cross country skiing to kids of all ages, and she has skis available for them, as well as some adult skis and boots. In her outdoor skills lessons, she teaches fire building (without using paper or matches), cooking on a fire, compass work, natural history, and much more. Depending on which class guests would like, and how many people are in the group, prices may vary. Simply message the host for more details. There are natural arts activities that guests can ask about when sending a message to the owner. These options are bookable when sending a booking request, and guests should just make sure to mention it when sending a message to the host. She offers fiber arts (with alpaca fiber felting), weaving/spinning, clay, block printing, tie dying, and more. Please inquire for more information. 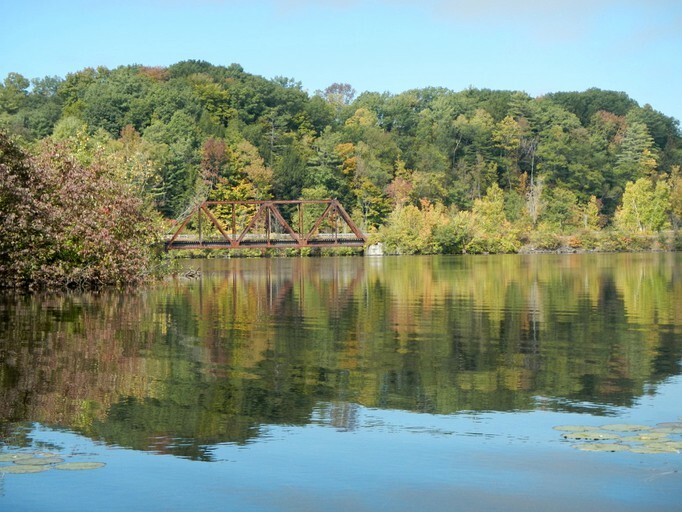 Guests might also be interested in the nearby Lake Morey Ice Skating Trail, which is the longest skating trail in the U.S. It's just a half hour from the glamping site. 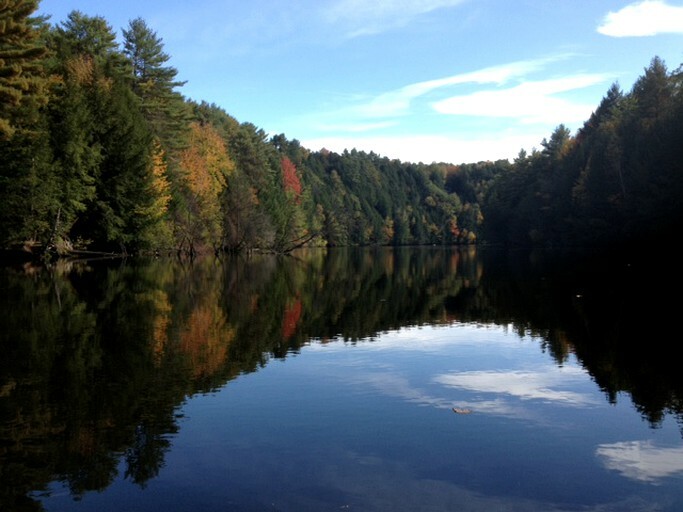 The Lake Morey Resort keeps the ice clear and offers nordic skates for rent. If glampers would like to bring a pet with them, please make sure the site approves it first. There is a $10 pet fee for each pet. Also, please keep in mind that if travelling with larger groups, this glamping site has more accommodations available. The host can rent out two bedrooms in her house, each with a double bed, and she can also provide mattresses for more travelers. Apart from that, the host also has two six-person tent platforms that can be rented out as well. For more details on these options, please message the host.